The next front in the grocery home-delivery race: getting inside your house. Walmart executives touted the program as a way to make grocery shopping even more convenient. Delivery workers who drop off Walmart groceries may soon also bring them into your kitchen and unload them into your refrigerator, even if you're not home. The world's largest retailer announced Friday that it is testing a delivery program in Silicon Valley that would allow customers to use smart-home technology to remotely open the door for delivery workers and watch a live stream of the delivery by linking their phones with home security cameras. "Think about that - someone else does the shopping for you AND puts it all away," Sloan Eddleston, vice president of Walmart eCommerce Strategy & Business Operations, wrote in a blog post Friday. "As the homeowner, I'm in control of the experience the entire time," he added. "I'm watching the entire process from start to finish from my home security cameras. As I watch the associate exit my front door, I even receive confirmation that my door has automatically been locked." Walmart executives touted the program as a way to make grocery shopping even more convenient for customers who are becoming accustomed to ordering food online. After all, they said, the rise of ride-sharing and home-sharing services means many people are already used to getting into strangers' cars and sleeping in their bedrooms. But security and privacy experts said Walmart's new service raised a number of unique questions for homeowners, insurance companies and others. "There are always unintended consequences that arise with these newfangled ideas," said Albert Gidari, director of privacy at the Stanford Center for Internet and Society. "It might be creepy and intrusive, but there are also a lot of security risks and liability questions down the road: What happens if there's a theft, or damage, or a dog bite? Will your homeowners' policy cover that? How will insurance companies react to this?" The $600 billion grocery market has been a particular point of competition following Amazon's $13.7 billion takeover of Whole Foods Market last month. Walmart, currently the country's largest grocer, announced this week that it would become the first retailer to allow customers to use food stamps to pay for online grocery orders. The company also recently announced that it was teaming up with Google to allow shoppers to buy its products by speaking to Google Home devices. 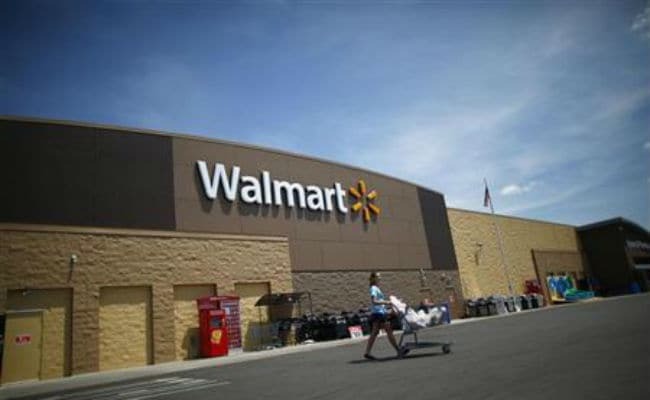 Walmart's latest partnership, with smart-technology company August Home and same-day delivery service Deliv, is still in the early stages, according to Walmart spokesman Ravi Jariwala. He added that it was not clear how long the current test would last or how the program might evolve. "We want to start small so we can test and learn," Jariwala said. "This may not necessarily become the norm. And it may not be for everyone, certainly not right away, but we see a lot of potential here." Gidardi, of Stanford, said the program was likely to appeal to urban dwellers who work long hours and are already accustomed to having cleaning crews, nannies and other service workers come into their homes while they're away. "This is a group of people who are already used to a certain level of intrusiveness," he said. "But God help the teenager playing hooky or the family dog who's not expecting the delivery man."